relaxation techniques and stress management strategies. Covers proper nutrition including a class format that helps patients build awareness of eating habits and food choices. Highlights the importance of exercise, reviews the elements of fitness, and includes suggestions for keeping patients motivated to continue exercising outside of the group. Includes a sample 8-week wellness program that provides you with a model for creating your own program, for marketing a new wellness program, and for planning a budget. 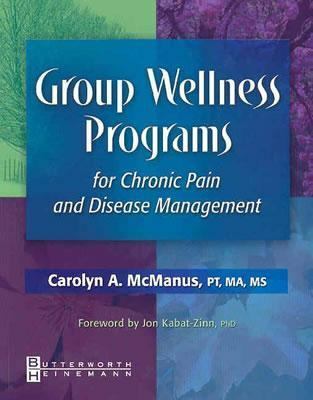 Offers Case Examples, drawn from true stories of the author's group members, that provide insight into the patient's perspective and an understanding of successful applications of wellness strategies to the care of people with chronic pain and disease. Provides you with specific class formats and exercises you can use in your own group wellness program. Includes 16 informational handouts that can be photocopied and given to group members to reinforce class subject matter and promote program adherence.